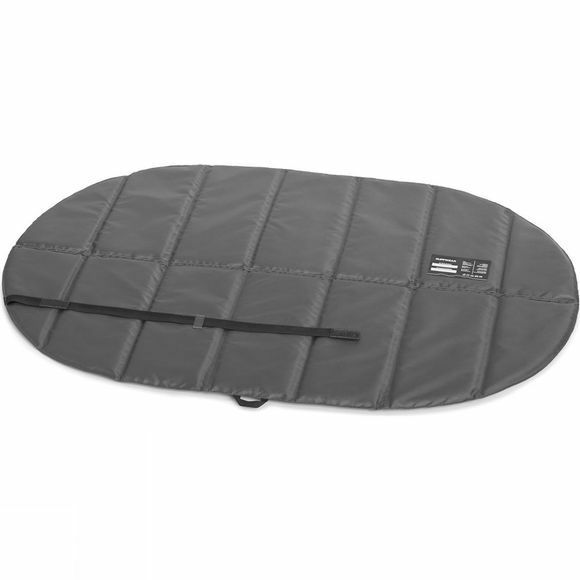 The Dog Highlands Pad is a packable foam pad for comfort and insulation on the trail. The pad can be used on its own, or in conjunction with Ruffwear's Highlands Bed or Highlands Sleeping Bag, for a complete sleeping system. The accordion-fold design compacts and secures with an integrated storage strap. Lightweight foam insulates from hard, cold surfaces while the soft, yet durable polyester fabric shell provides a comfortable sleeping surface and cleans with a shake.